Upcoming branch offices in Bangalore, Chennai, Ahmedabad and Pune. Vast Vertical Expertise and Knowledge in Pharma and Auto. Dedicated India –US Desk for operational efficiency. One of the most evident ramifications of globalization has been the tremendous growth in the world of commerce. 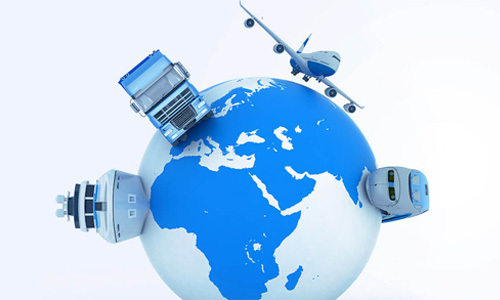 This globalization has created the need for prompt, efficient and reliable logistics service providers who understand the nuances of integrated freight forwarding and can provide complete logistics solutions to their customers through highest levels of service standards. We at “Odyssey Logistics” , believe in rendering world class logistics services to our esteemed customers which enables the organization to prolong the long term associations with the customers in this ever changing competitive world of freight forwarding. We understand that a satisfied customer is the benchmark of success in the intangible service industry. Therefore, “CUSTOMER FIRST” is just not only a slogan, but a motivation around which the responsibilities are executed at Odyssey. Continuous Initiatives to build leadership and recruit best skill sets in the industry for continued improvement. Partner in Business for our Customers Logistics Ecosystem. Continuously evolve by better understanding the customer requirements and ecosystem so as to integrate better with their requirements and scale accordingly.